The Pfatt Marketplace offerings for this month are up! 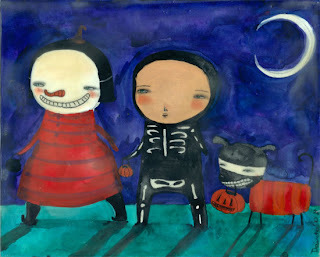 You can find my newest piece here :) This time I'm trading the cats for a little cute black dog with his big pumpkin following two cute little kids all dressed up and ready for Halloween :) Perfect for the season! this is so spooky adorable~! I´m in love of your little dog, all your characters are amazing!